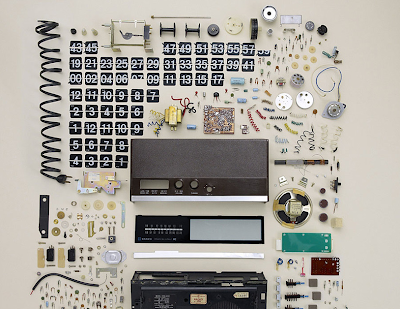 Canadian photographer Todd Mclellan dismantles the relics of our collective consciousness and photographs the meticulously organized pieces in a hierarchal structure. A typewriter, push mower and rotary phone all fall by the wayside. The result is a glimpse into an era of extreme mechanization and industrialization which has made way for a new generation of tablets & hand held media. So cool! And its all organized just as Jeff Lewis would want it to be.